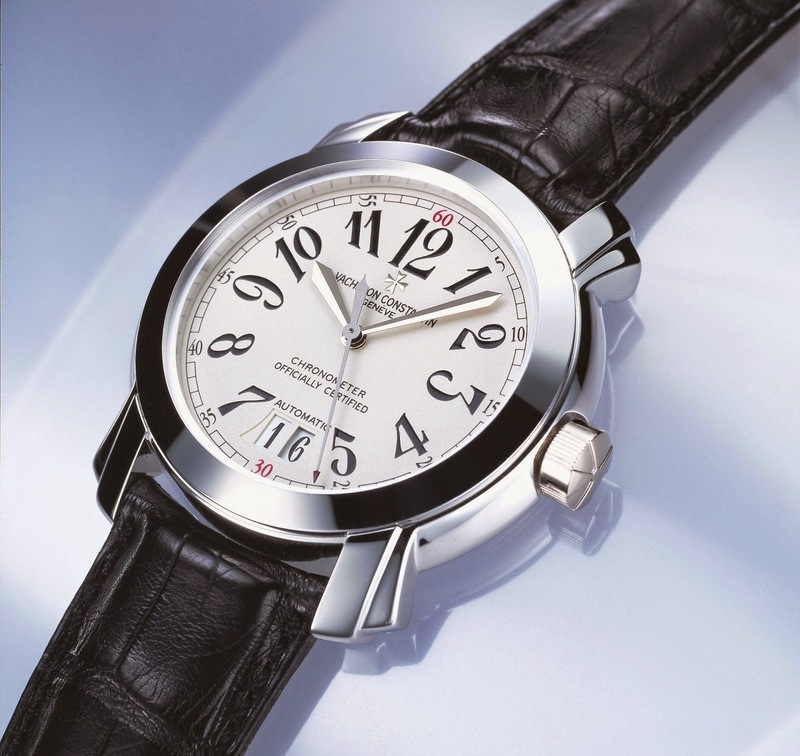 As one of the principal artisans of Geneva’s long and distinguished horological traditions, Vacheron Constantin possesses a vast and varied portfolio of achievements in which it finds inspiration for its contemporary timepieces. The Malte Collection is a case in point. Conceived as the coming “reference” in the company’s product range, it embodies a full measure of its watchmakers’ creative powers and craftsmanship. 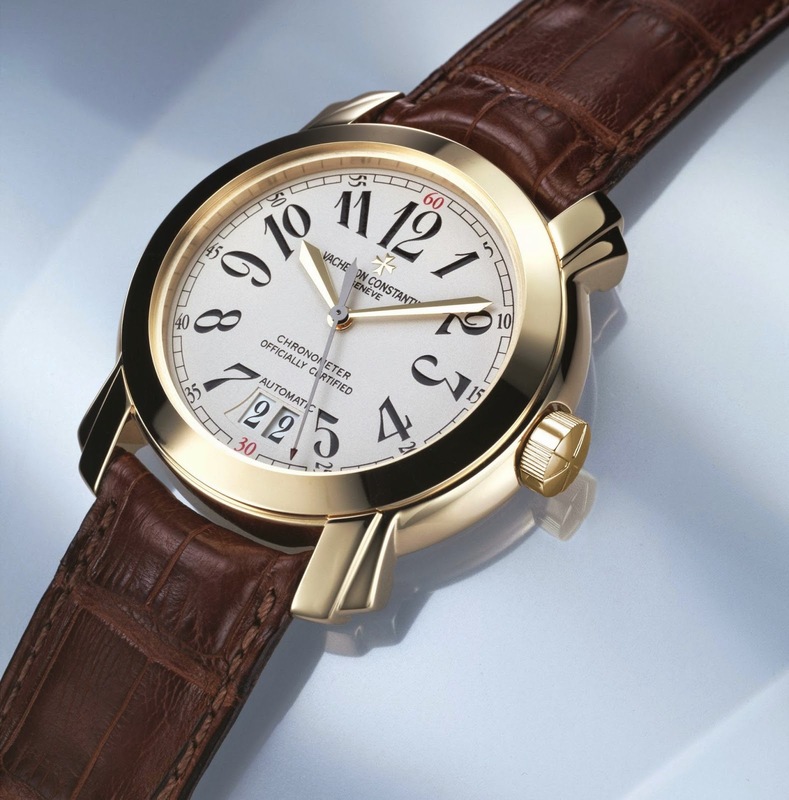 Its full-bodied good looks and advanced technology give the collection special status as the epitome of the Vacheron Constantin spirit. Taken from the company’s “Maltese cross” corporate symbol, the collection’s name reflects its preeminence. Incorporating the accumulated expertise of generations of inspired watchmakers, every Malte collection model reflects contemporary design at its fullest and finest, enhanced with particularly sophisticated time technology. 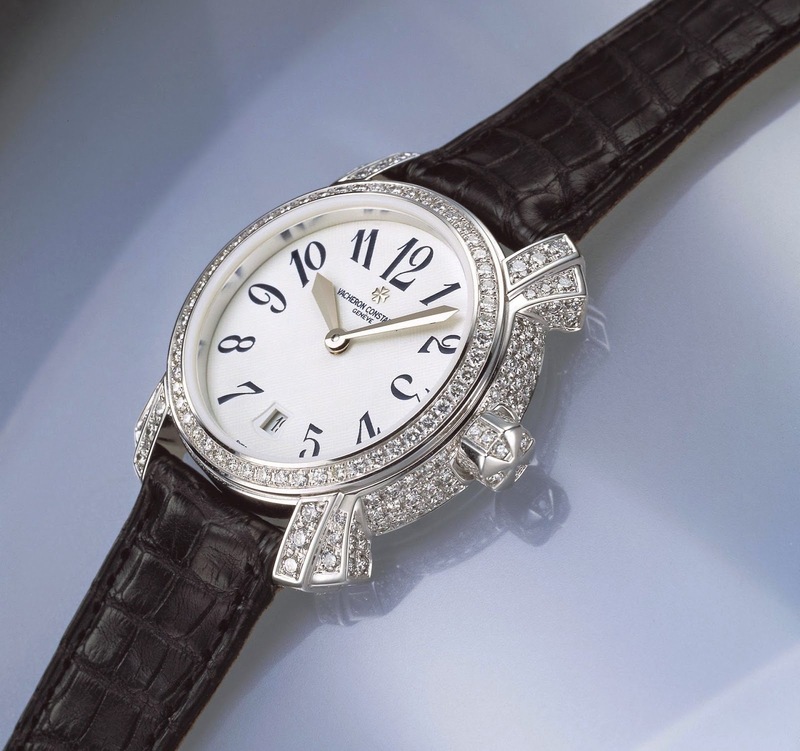 From the many elaborate functions of a “Grande Complication” timepiece to arresting, diamond-clad creations for some of the world’s most elegant women, Malte models express the soul and the spirit of Vacheron Constantin’s approach to watch design. Nothing looks like a Malte watch except another Malte design—if only because of their styling’s aesthetic originality. Every Malte watch case, for instance, includes broad, stepped bracelet attachments (or “horns”) that add unique personality to the design’s sleekly rounded proportions. 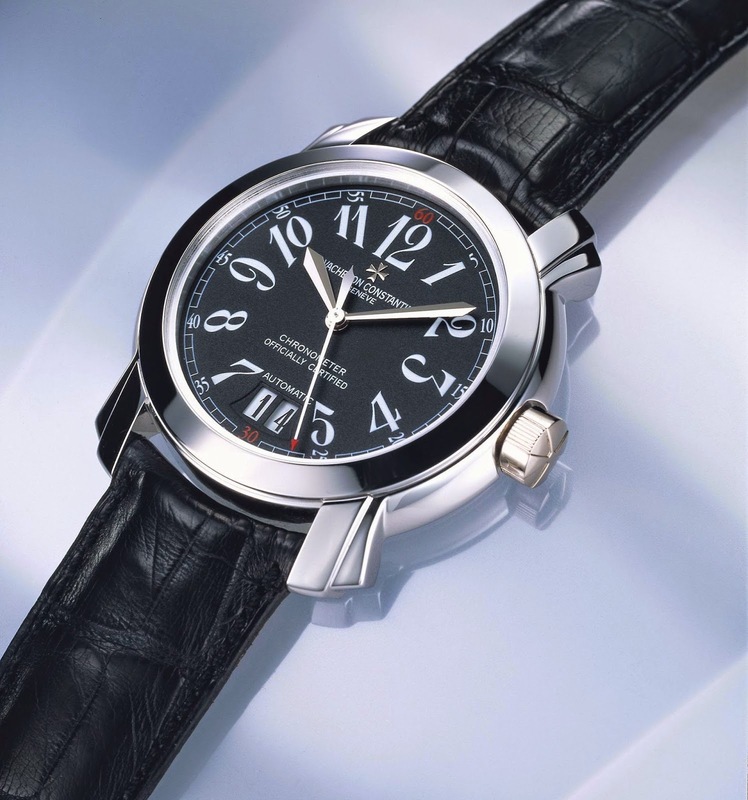 The crown, for its part, features a novel, stylized interpretation of Vacheron Constantin’s “Maltese cross” corporate symbol. Furthermore, sword-shaped watch hands give every Malte dial face a stylish, definitely contemporary character. A demanding craft in its own right, high-level watchmaking calls for specialist know-how available today only from a handful of manufacturers; they alone possess both the human and material resources as well as the professional motivation to turn out truly memorable timepieces. In 1795, the invention of the tourbillon regulator provided an astute if technically demanding solution to the problems caused by the pull of gravity on mechanical devices of every description. It consists of a mobile “cage”, or carriage, containing the movement’s regulating system – the balance and its spring plus the escapement. Rotating on itself with utter regularity, the tourbillon subjects the regulating system to continuous positional changes over 360°, thus offsetting the effects, appreciable over time, of the pull of gravity on the movement’s regulating organs, hence on its precision.The design and construction of a tourbillon movement remains as technically challenging as ever, although Vacheron Constantin’s expert watchmakers at its workshops in the Vallée de Joux, where Switzerland and the world’s finest watches are made, were happy to come up with the new caliber 1790 tonneau-shaped handwound tourbillon movement. In addition to its tourbillon regulator, this newcomer to the company’s proprietary movements includes a power-reserve indicator along with a pointer-type circular calendar.The “Côtes de Genève” decorative pattern, the meticulous chamfering by hand of the bridges’ angles and edges, the movement’s engraved individual production number—such painstaking finish confirm that Vacheron Constantin’s remarkable new movement was indeed made from start to finish in the company’s own workshops. Brush-finished at center and engine-turned at the edges, its sunray-patterned, silvered dial features applied gold hour markers while the tourbillon carriage holder bears Vacheron Constantin’s “Maltese cross” corporate symbol. Water-resistant to 30 m (100 feet), the Malte Tourbillon watch’s tonneau-shaped case is fashioned in a choice of 18K pink 5N gold and 950 platinum. A dome-shaped sapphire crystal protects the dial while a transparent sapphire back, secured by screws, reveals the impeccably finished movement’s gleaming dance. The case comes with a padded and hand-stitched alligator mississipiensis strap fitted with a matching precious-metal buckle. From the earliest design in 1862 to the present day, chronographs required well over a century to achieve their current excellence. Depending on their specifications, today’s chronographs can measure, record and display time spans ranging from split seconds to many hours. Still, their design and production remains the preserve of a few particularly experienced makers. Vacheron Constantin’s caliber 1141 QP handwound chronograph movement is equipped with a 30-minute totalizer and a chronograph seconds hand—both actioned via a traditional column-wheel construction. But this remarkable movement has far more to offer, not least a full perpetual calendar. The day of the week and the month are shown in separate dial apertures positioned under 12 o’clock on the dial; framing the hand-made moonphase indicator in gold, the circular date calendar’s pointer adjusts automatically to the number of days in the current month while leap years appear in a dial window at two o’clock. The movement itself is finished with care bordering on perfection: decorative “côtes de Genève” pattern, bridges shaped and chamfered by hand, parallel files strokes on its edges, individually polished screw heads… All chronograph, time and calendar functions appear on an opaline silvered dial with applied gold hour markers, protected by a dome-shaped sapphire crystal. 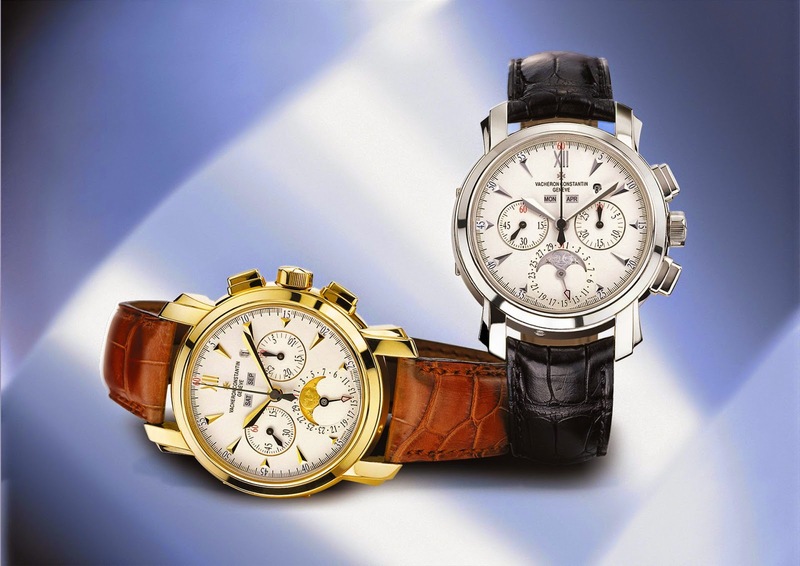 Designed and made with Vacheron Constantin’s traditionally meticulous craftsmanship, the Malte chronograph’s round case is fashioned in a choice of 18K yellow 3N gold or 950 platinum. Its frame features two pushpieces to action the chronograph and with four correctors flush with the case surface for adjusting and correcting the perpetual calendar. Its “officer” type case back – engraved at its owner’s discretion with the inscription of his choice – opens to reveal the movement, visible through a sapphire back plate. The padded and hand-stitched alligator mississipiensis strap comes equipped with a standard buckle in gold or platinum. Initially built to determine, check and compare the accuracy of standard watches, the regulator’s design owes much to the inventive genius of Ferdinand Berthoud (1727 – 1807), watchmaker to the king of France and horologist to the French Navy. Designed as a navigational instrument and technically patterned on the regulator, the marine chronometer featured separate staffs for the hour, the minute and the seconds hands. This constructional approach lessened the amount of mechanical energy required to drive the gears, thereby reducing friction and improving the movement’s long-term precision. The Vacheron Constantin caliber 1206 RDT selfwinding movement equipping the Dual Time Regulator was of course designed and built on these principles. Its exceptional endurance and accuracy have earned it an official chronometer certificate issued by the Swiss Official Chronometer Testing Authority (COSC). A subdial with 24-hour graduations at 9 o’clock on the dial provides the time in a second timezone, while a circular pointer-type date calendar frames the subdial for the seconds at 6 o’clock. What’s more, the movement’s maximum power reserve exceeds 60 hours. 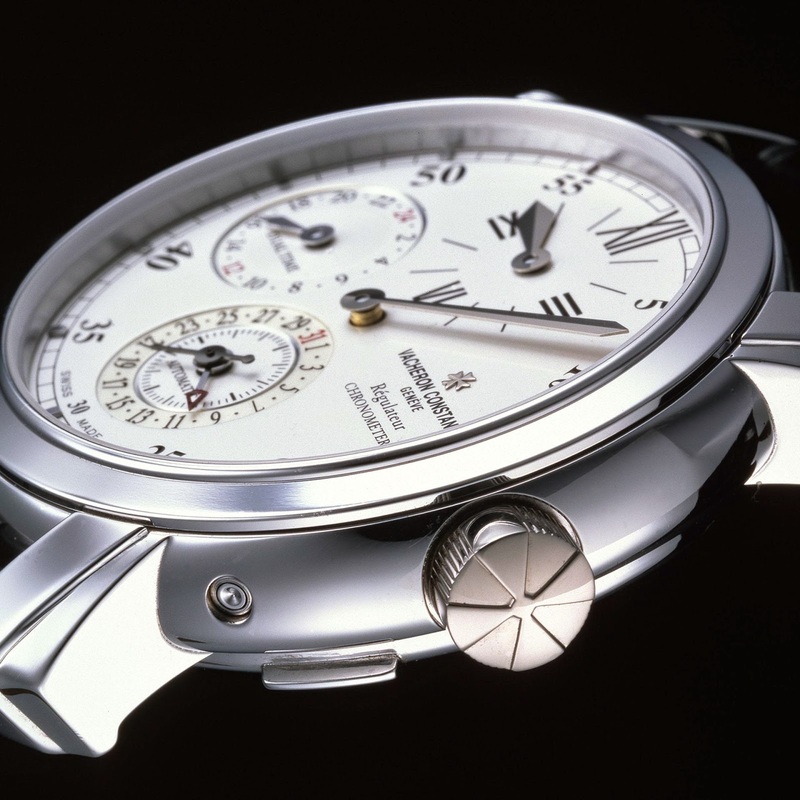 As with every Vacheron Constantin proprietary caliber, the Malte Regulator’s movement features decorative “côtes de Genève” patterning and all bridge angles and edges have been patiently chamfered by hand.In addition to gold hour markers, the dial’s matt silvered background bears black painted Arabic and Roman numerals. 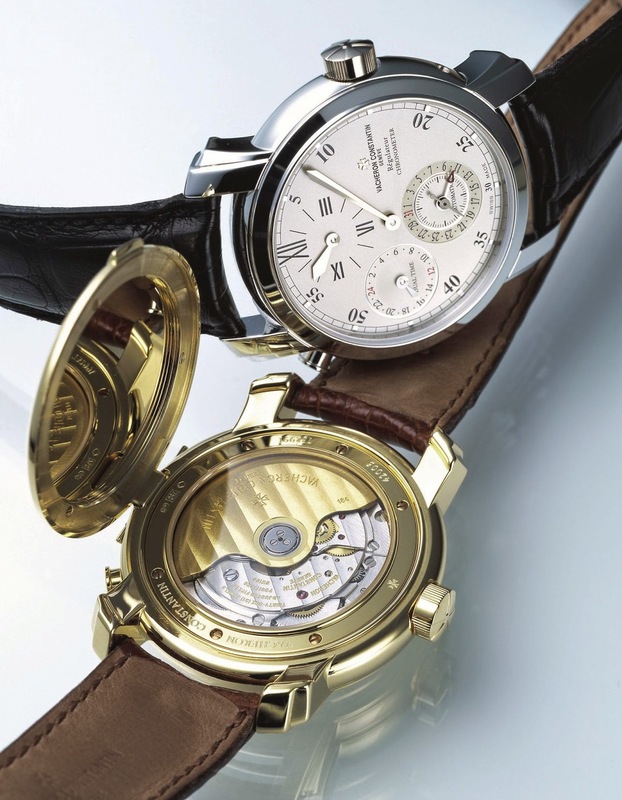 The frame of the Regulator’s round case features a pushpiece opposite 11 o’clock that actions the second-timezone indicator while a corrector for the calendar is situated flush with the case side between 4 and 5 o’clock. Water-resistant to 30 m (100 feet), the case is available in 18K white or 3N yellow gold. Its easily and discreetly engraved “officer” type case back opens to reveal the movement and its 18K oscillating weight, protected by a transparent sapphire back plate. A padded and hand-stitched alligator mississipiensis strap fitted with a standard buckle in gold rounds out a timepiece whose original dial layout and unusual movement design contribute in no small measure to its exceptional character. Alongside intricate masterpieces of watchmaking at its finest, the Malte collection comprises attractive designs in the contemporary spirit—not least the Malte Large-Calendar Selfwinding watch.Eminently practical for everyday use, this thoroughly masculine design features a date calendar whose twin apertures at 6 o’clock on the dial display generously oversized figures providing ans instant and effortless reading of the time even in dim light. 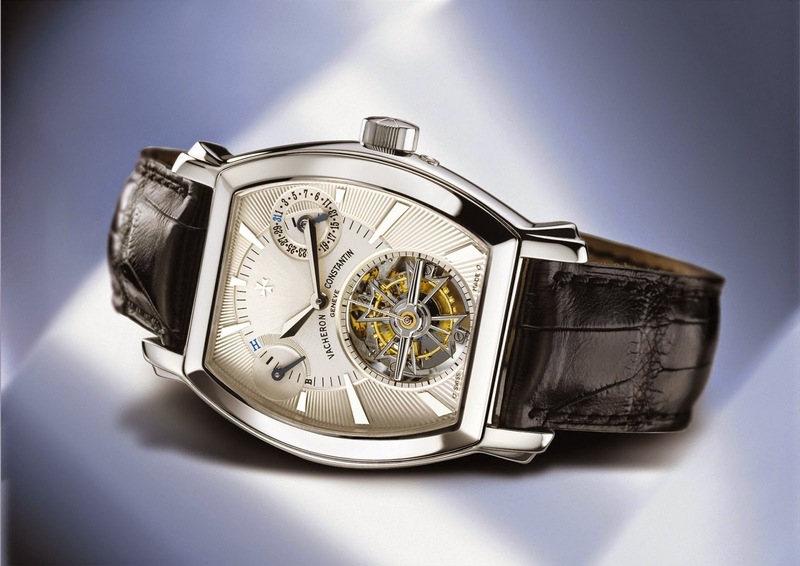 It is equipped with a Vacheron Constantin caliber 1204 selfwinding movement supplying over 60 hours of reserve power. Its technical excellence has furthermore earned it official chronometer certification from the Swiss Official Chronometer Testing Authority (COSC). Decorated with a “côtes de Genève” pattern, the movement is equipped with an oscillating weight in 18K gold. 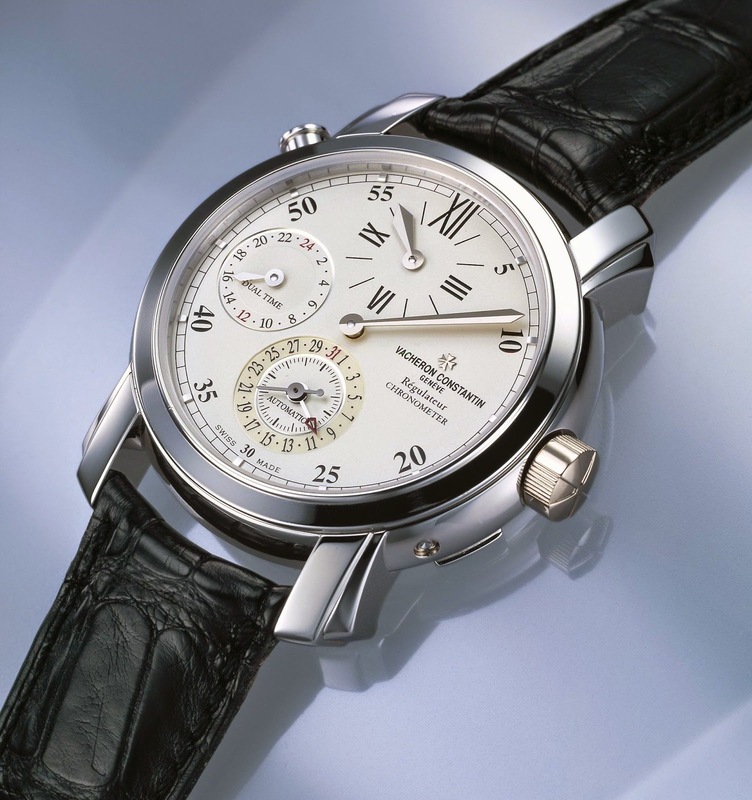 Fashioned in 18K white or 3N yellow gold and water-resistant to 30 m (100 feet), its round case is equipped with a transparent sapphire back plate, secured by screws, as well as a dome-shaped sapphire crystal protecting an opaline silvered or black oxidized dial with painted Arabic numerals for both hours and minutes. The case comes with a padded and hand-stitched alligator mississipiensis strap fitted with a standard buckle in gold. Malte designs for women add to the collection the alluring charm of a case subtly redesigned to match the elegance of the world’s most graceful wrists and a dial whose irresistible personality owes a great deal to the size, shape and position of its painted Arabic numerals.Water-resistant to 30 m (100 feet), their case features a back plate tightly secured by screws. Malte designs for women come either in white or 3N yellow 18K gold with bezel and crown enhanced with Top Wesselton diamonds or in white 18K gold with case entirely pavéed with Top Wesselton diamonds. Along with the hours and minutes, a caliber 1207 quartz movement displays the date in a dial window at 6 o’clock. It too naturally features a “côtes de Genève” decorative pattern.All Malte designs for women are equipped with a choice of padded and hand-stitched strap in alligator mississipiensis fitted with a standard buckle in matching gold or with a smoothly articulated link bracelet in white or yellow gold fitted with an invisible deployment clasp.